a view toward the canyon. This lovely airy cottage, built in sandstone, is on the other side of a rocky ridge from De Hoop. Completely private, with a poplar grove and old pear trees in front of it, restios all around framing the landscape and a view towards the canyon. Gert Boom has two bedrooms and two bathrooms, both with showers only, one of which is part of the bedroom with the double bed. The other bedroom is twin bedded and there are two more beds in the living room for families. The indoor fireplace provides warmth for cozy evenings curled up on the big sofa or in a lounge chair. The kitchen area is fully equipped to be self catering if you do not want to book meals (two or three course dinners can be delivered to you). This cottage is the only one with solar lighting, but feel free to use the oil lamps to enhance the romantic atmosphere. Gas is used to provide hot water, and for the stove. Relax and recharge in this charming cottage. Lie in the hammock in summer, swim in the pool (built to resemble a farm dam), or in the rock pool at the canyon or go for long walks. A picnic at the canyon to watch sundown, is particularly recommended. 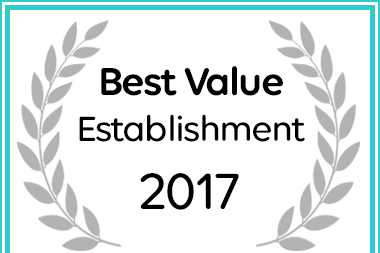 Papkuilsfontein Guest Farm has been named a Best Value Nieuwoudtville Establishment.